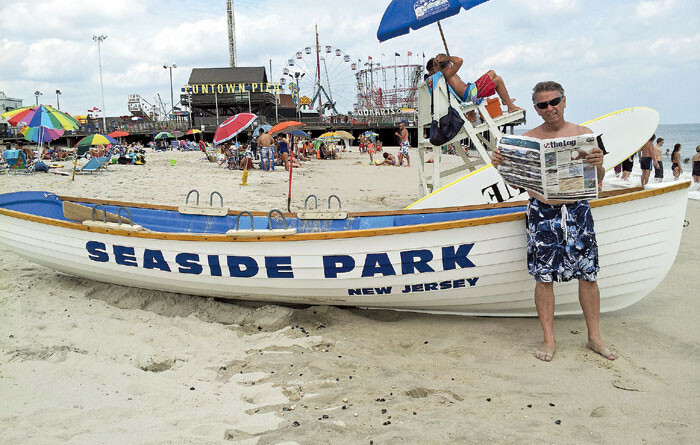 Seaside Park, New Jersey — This photo was taken by my granddaughter, Shea, on the beach at Seaside Park, reported Bob Pone of Santa Ana, who took The Log Newspaper along with him on his visit to New Jersey. As a young boy, I have great memories of this beach — crabbing, clamming or just walking the boardwalk. Now, my children and grandchildren enjoy it, as well. What a fun place!